The Braun Face Bonus edition contains 4 different brushes to tailor your face cleaning experience to your specific skin needs.Normal brush: removes make-up and impurities up to 6x better than manual cleansing. For daily use. 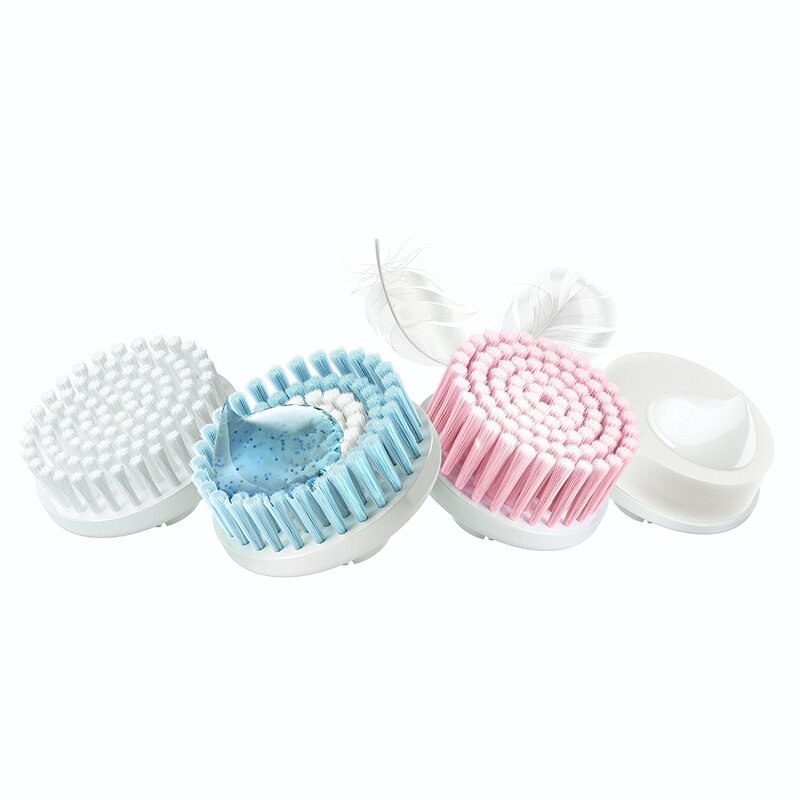 Extra Sensitive brush: provides an extra gentle cleansing experience for delicate, dry and sensitive skin. For daily use. 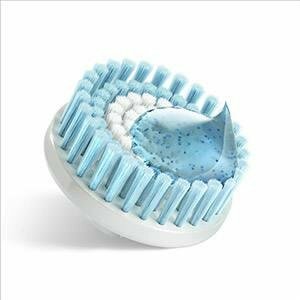 Exfoliation brush: gently yet effectively sweeps away dead skin cells to visibly refine skin. For weekly use. 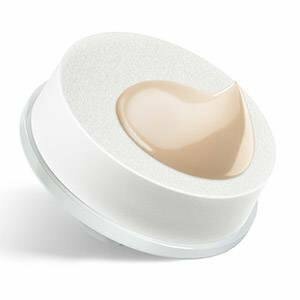 Beauty Sponge: helps to massage cream or serum into the skin and helps apply make-up evenly on the skin. For daily use. 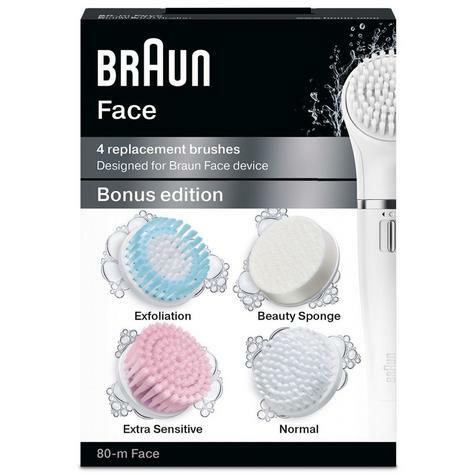 Braun's original brush head provides a daily cleansing treatment for normal skin types. 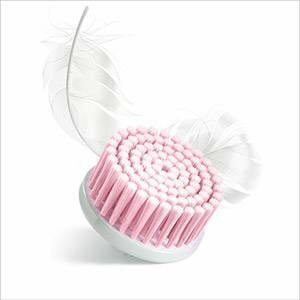 8 mm long bristles remove make-up and impurities for a deep pore clean that is 6x more effective than manual cleansing. For delicate, dry and sensitive skin that requires a softer touch. 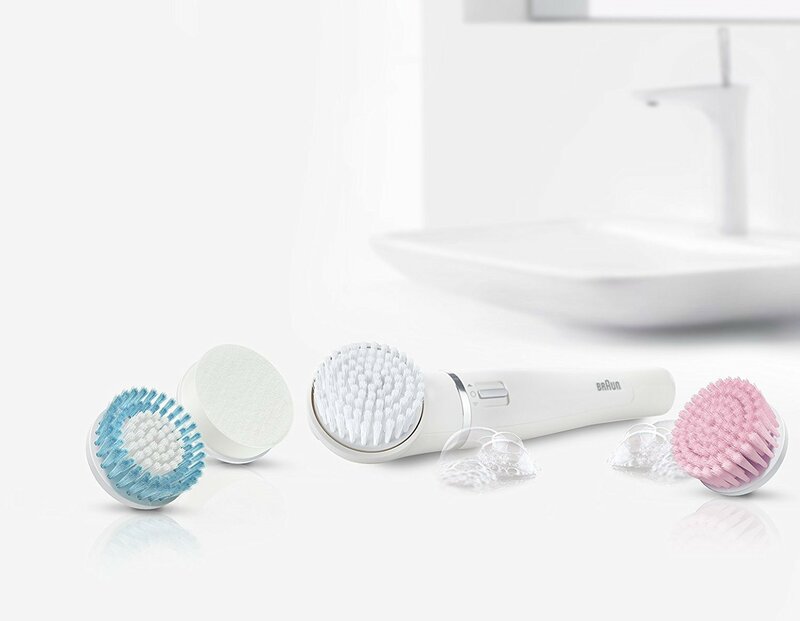 With hundreds of micro-oscillations per minute the soft 14 mm bristles provide a gentle and luxurious cleansing treatment. Designed for weekly use this brush provides an efficient exfoliation treatment, an essential part of any beauty regime. Combining long and short bristles, the two filament lengths swipe away dead skin cells leaving skin soft and clean. 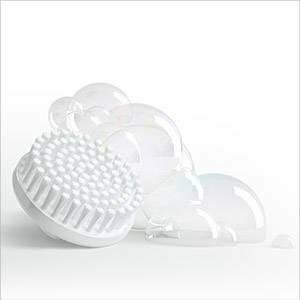 With its unique foam surface, the sponge can be used to massage moisturising creams and oils into the skin. It can also be used to apply foundation to even skin tone and create a flawless base. Replace thebrushes every 3 months to maintain optimal performance and hygiene.